Some memories last forever… Forty memories, like forty grains of sand on an endless stretch of beach, seem insignificant by comparison, until a glint of brilliant sunshine or a hint of human inspiration ­illuminates them and sets them free. Ellen Brennan Williams, inspired by profound tales of courage and sacrifice by the men, women, and children in her own hometown, has done just that. 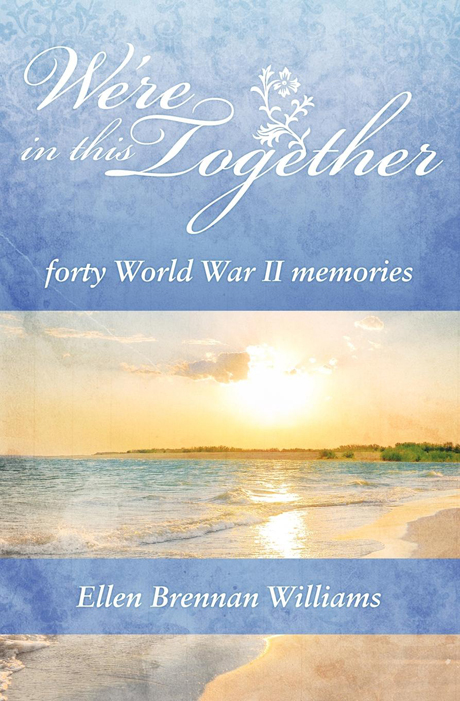 Determined to share with others and preserve these ­important pieces of history, she dove head-first into the profound memories of World War II veterans, loved ones left behind, war brides, youth on the homefront, and civilians struggling in Allied and Axis nations abroad. This book is about struggles and conflicts, sacrifice and courage, determination and victory — a wonderful read that will remind you that the human spirit cannot be broken. Ellen Williams is a Christian wife, mother of three grown ­children, and grandmother of two grandsons. She is a retired pre-school teacher who took up writing in her retirement years. She feels inspired by God to write and gives Him the credit. She wrote for thirty years but hid everything in her nightstand until six years ago when she dug them all out. Since she retired she has written seven books and self-published them. When she is not writing she volunteers at San Simeon teaching art on Monday mornings and at her church ­teaching children in the third grade. Her other hobbies are painting, crocheting, knitting, and photography. She resides in East Marion, New York with her husband of fifty years, Ed. Ellen can be contacted via email at ednelwms@optonline.net.